The Kindle is coming to the iPhone – although the latest App Store arrival from Amazon is only available in the US at the moment. The second iteration of Kindle - an eReader - arrived in the US in February, and Amazon remains coy about bringing it over to the UK, but should the online giant manage to find the right deals with publishers, an iPhone app could hit Britain sooner. Should it arrive, the free iPhone application allows people to download books for a $10 fee – although it doesn't automatically connect to the Kindle store so users have to use the browser to grab books or connect to a computer. One of the cooler options is that the program lets you synch between Kindle and iPhone so that you can flick between devices but keep you place in whatever you are reading. 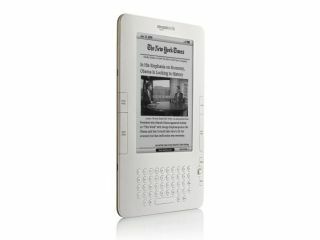 It's not the first eBook reader for the iPhone, but tied into the extensive Kindle library, and leveraging one of the biggest brands in the eBook revolution, it could well prove to be popular. If it ever arrives on this side of the pond, of course.